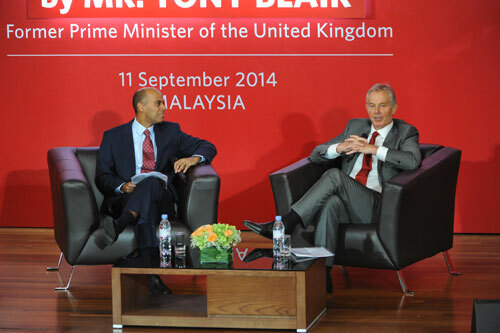 Former British Prime Minister Tony Blair visited the Subang campus of INTI International University and Colleges to speak to students, faculty and community stakeholders about the globalization of education. The event was broadcast live to INTI’s four other campuses, reaching more than 1,000 students and will also be shown to other Laureate network institutions in countries in the region. In his remarks, Mr. Blair emphasized the critical role education plays in creating a talented, versatile and job-ready generation. “Simply attending a university doesn’t buy you a ticket to the 21st century, you‘ve got to be prepared to adapt and change,” said Mr. Blair. “One of Laureate’s successes is that it adapts and draws upon the best examples of education and the use of technology to provide students with opportunities that previous generations did not have,” he added. INTI, recognized as a leading provider of quality higher education in Malaysia, serves a large, international student body. More than 14,000 students study at its five campuses. The university offers undergraduate and graduate degrees in a wide range of fields, including business, engineering, liberal arts and applied sciences. Malaysia’s ministry of education has recognized INTI for having the most accredited programs in the country. The university was the first higher education institution in the country to receive a Certificate of Appreciation for Achievement in Trade from the U.S. Department of Commerce. 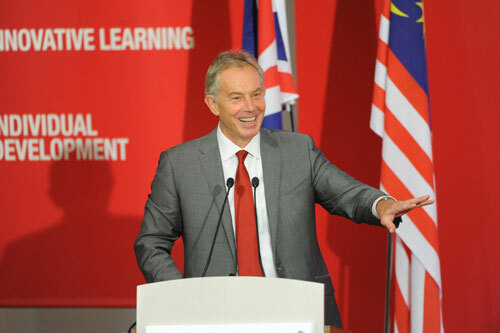 Mr. Blair’s visit to INTI’s Subang campus is his ninth appearance at a Laureate network institution. The other Laureate universities he has visited are Campus Eiffel in Paris; Universidade Anhembi Morumbi in São Paulo, Brazil; Universidad Peruana de Ciencias Aplicadas in Lima, Peru; BiTS (Business and Information Technology School) in Iserlohn, Germany; Universidad Europea in Madrid, Spain; Istanbul Bilgi University in Turkey; Universidad del Valle de México in Coyoacán, Mexico, and Centro Universitário Ritter dos Reis in Porto Alegre, Brazil.